How can I know the size of the arrays in the waveformSize parameter? I'm researching how to graph the sound from each mic of the iPhone individually in realtime (there are 3 of them on the device). Can Superpowered help me? Should the SuperpoweredWaveform class not be used directly? Should I instead only use the SuperpoweredOfflineAnalyzer to get the waveform data ? I’m planning to build an ios app which will need to do some pitch and tempo detection. Which part of Superpowered should I start with? I understand that the upper 4 bits are the bass notes 0-11 and that the lower 4 bits are the mid notes 0-11, but I am getting a number. How do I know what are the bass notes are? Am I correct in thinking I need to copy the SuperpoweredAnalyzer.h file into my jni folder? Can I generate a waveform image with Superpowered? I am thinking about using the offline rendering method's low/mid/highWaveform. Is the Analyzer applicable to monophonic tracks only? Or it works for the polyphonic multi tracks as well? Is it possible to get analyzed data during offline processing ? Are there any resources you can share about how to approach an auto mixer with Superpowered? Can I use Superpowered to detect DTMF tones? Can your tool detect and export more fine-grained pitch data in Hz/msec using MIDI pitch bend messages ? 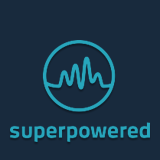 Does the Superpowered API do pitch detection based on a monophonic vocal recording in mp3 format or compare and return Hz/msec for each detected pitch? I don't know how to return most of the analysis results from Offline Analyzer to my java code so that I can use and display them. Do you have any tips? Can I have more than 8 frequencies in frequencies array  in a sample project? How can I print to console the max frequency (or the max band) every 10 ms or every time the frame updates? I am broadcasting a signal at 1900hz.How should I detect it through your API? Is there a way to use the audio SDK for chord detection? Can you please provide documentation as to how much the BPM will be changed if we increase tempo from 1 to 2 ? Can you tell me more about the BPM Tracking part of the Superpowered analyser? We’re looking into capturing the tempo and phase of ambient audio to sync our metronome to. The real BPM of my track is 98, however I am getting 198. Or the real BPM is 60 and I get 100. Can you please tell me what the problem might be? I can successfully get the BPM for an audio file, but I don’t see a way to get the beatgrid. Why is that?